I remember these being my first thoughts and words when I first heard the news about a shooting in Jeffersontown, Ky., a suburb of Louisville. My stomach dropped and my heart beat wildly in my chest. J-town is where I grew up. It’s where I return for family gatherings and holiday dinners. It’s where my parents go to church. 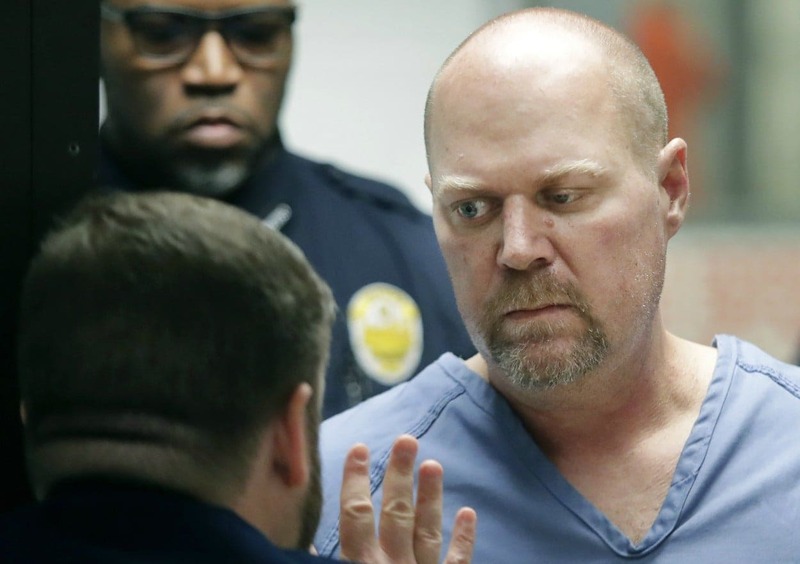 The same church the alleged shooter, Gregory Alan Bush, tried to enter prior to going to the local Kroger and killing a man and woman because, as one witness implied, they were Black. That Kroger is near my parents’ home. My mom gets her prescriptions there. After confirming that my parents were OK, my mind followed what has become a normal train of thought for many Black folks lately when news of a hate crime or murder of unarmed Black person hits. First, we check the year and confirm that it is still 2018. We confirm that it is 54 years after the Civil Rights Act of 1964. We check to see that we can still sit on the front of buses and share schools and water fountains with people from all races. We look up at our degrees hanging on the walls from prestigious colleges and step outside to marvel at our homes in neighborhoods that previously preferred to exist behind red lines. And after all that, we remind ourselves that none of it really matters. I also thought about Bush. How he was able to walk into a store, whose policy apparently doesn’t see open carry in a grocery where families shop for food and school supplies as a big deal, and kill one person, a grandfather shopping with his grandson; then leave that store, have a conversation with someone—also with a gun—and kill another person, only to be safe and securely apprehended a while later. Not beaten and tossed around a van like Freddie Gray. Not shot in the back like Walter Scott for driving with a non-functioning brake light. Not choked to death like Eric Garner for selling cigarettes. Not shot sixteen times for possibly being mentally ill like LaQuan McDonald. No, this other allegedly mentally ill person gets to commit two heinous murders and is safely and securely apprehended. Surely, he was a threat. Surely, those officers felt like their lives were in danger in the same ways the officers who shot unarmed Stephon Clark in his grandmother’s backyard felt. Or not. These were my thoughts before. Before I would receive the news around 7 p.m., that would change my family. Before the news that would illuminate just how close hatred, if allowed to sweep over us in such overt ways, will dramatically change all our lives. I wish I could say that it was just my stomach that dropped this time. I wish I could say it was just my heart that beat wildly in my chest. This was something entirely different though. This was pain, yes, but also an acute awareness. There was no longer any distance between me and the hate crimes and shootings I’d written about before. My cousin, Vickie Lee Jones, was the woman shot outside of the Kroger store by Bush. My 67-year old, church-going, breast cancer surviving, sweet as honey Cousin Vickie, was targeted solely because she was a Black woman. She died literally moments after Maurice Stallard, 69, was killed in front of his grandson by the same weapon. And the hard truth, the truth that only one day out from her funeral I’m coming to reconcile, is that Bush was safely and securely apprehended solely because he is a white man.